It comes as no surprise to those who know me that a sports nut I am not (shocking right…calm down) But even I’m jazzed to have the nation’s largest sporting event blocks from my door. In my three plus years living it the heart of Indianapolis I’ve seen new hotels built, great restaurants open, and a SURGE of artistic expression all throughout the city. My hope is this Super Bowl will show visitors that we are more than just a city where the Colts play. (all you nay-sayers spouting that Indy is not a “destination city”…to you I say “shhhh” 🙂 ) We are indeed a vibrant city with a vibrant culture all our own (I’ll touch on our great micro-breweries another time) If you are visiting Indianapolis for the big game or if you live in the area, here are three great cultural things happening in the city right now. I posted a story about this in an earlier blog, but it bears repeating. 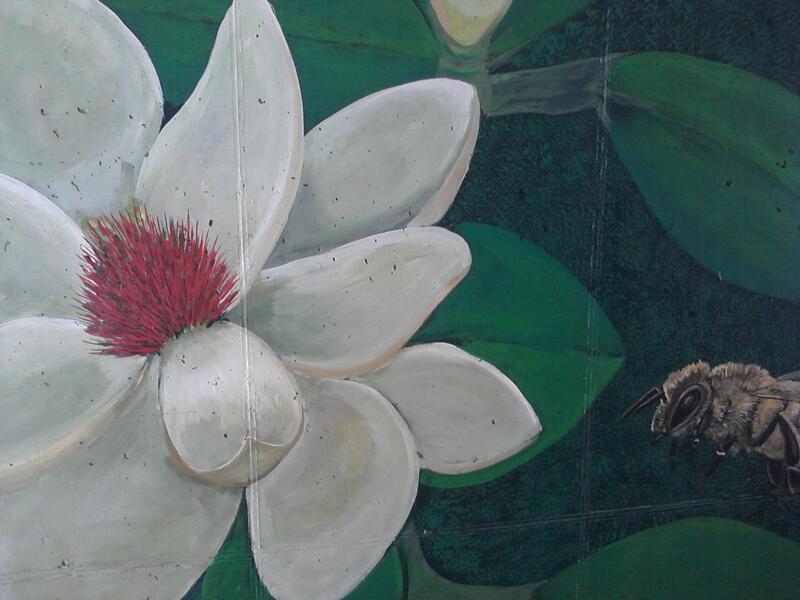 The 46 of XLVI is an amazing project put on by the Arts Council of Indianapolis that has turned drab building facades, overpasses, and much more, into works of art. 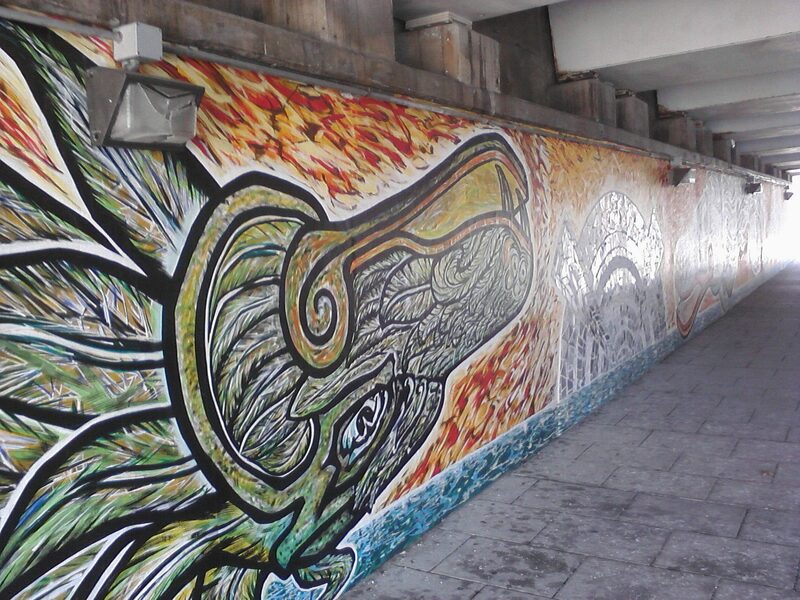 Located throughout the city, you never know what masterpiece is just around the corner. 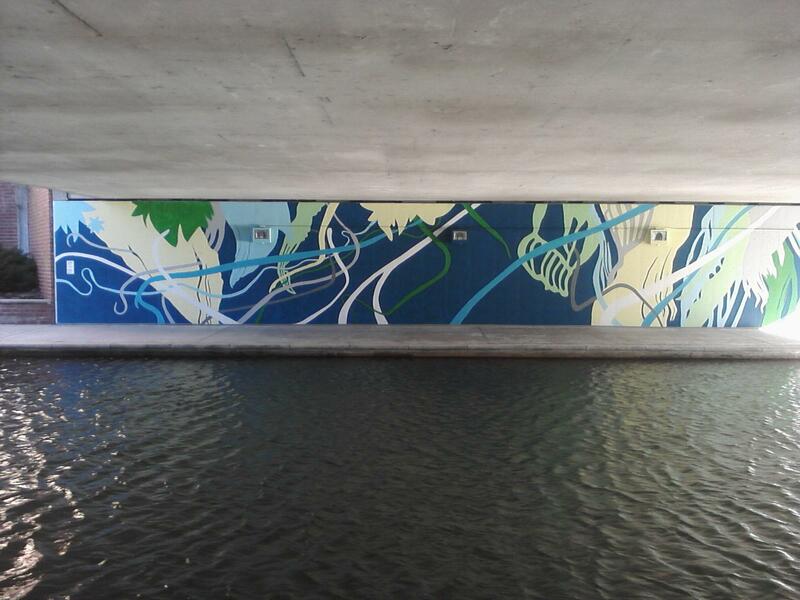 Below are some pieces I stumbled upon just the other week while on the canal. 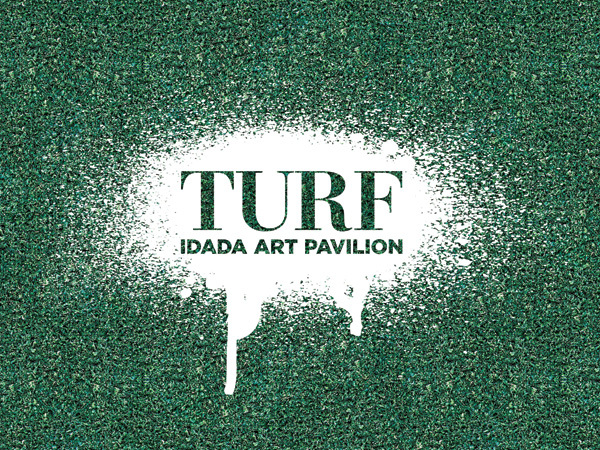 Put on by the the Indianapolis Downtown Artists and Dealers Association (IDADA), TURF will introduce a national and international group of visitors to the world-class art galleries that are located in downtown Indianapolis. The event will be free Tuesday through Sunday from 10 AM – 7 PM. I hope you take advantage of this truly inspired event. I myself think it’s a tremendously original concept. Finally, if you can’t make it to Indy, can’t get out of the house, or simply run out of time to see everything (which is quite possible) check out the musically artistry of some of Indy’s best right on your computer. The XLVI Indy Music Project showcases 46 local Indianapolis bands in conjunction with the Super Bowl. Each band has a song available to download or embed on your own site. I am a little late to the local music scene I must admit…so this online gem has proven to be invaluable. In fact I have to give a shout out to Mr. Kinetik, a good friend and a true musical artist. His song is #5 on the list, but I’ve provided it below. Check them all out for yourself, and if you like em….well then spread the love. Hopefully I’ve wet your cultural palette and inspired you to check out a side of Indianapolis that you may not be all that familiar with. I will be experiencing as much of the Superbowl as I can. I just hope there is enough time to see it all. Next Next post: Brushes? We don’t need no stinking brushes.